VOTER ALERT-Where is HSUS on the Ballot-Voter Be Aware!!! Please remember that HSUS is supporting Hillary Clinton-She doesn’t give a crap about animals or animal ownership-Her concern is for the money and happily accepted HSUS support. A vote for Trump is a vote for Protect the Harvest!!! HSUS gives less than 1% of the money sent for animal care…Large outrageous salaries, retirement funds and off-shore accounts-Do not donate or support anyone or anything connected to HSUS!!! Where’s HSUS on the Ballot This Year? Every time you look up it seems as though the Humane Society of the United States is spending money –except on pet shelters. With Election Day fast approaching, let’s take a look at some of the ballot initiatives that has HSUS reaching for its checkbook or media rolodex. One of the initiatives HSUS is pumping money into is Question 777 in Oklahoma. This amendment would make any law “restricting or regulating” the farming industry in the state more vulnerable to lawsuits, which would likely result in fewer government regulations over the industry. This amendment gives farmers a fighting chance and HSUS a headache as it allows farmers to defend themselves against unjust laws. HSUS, which wants to put farmers who use animals out of business, has contributed at least $100,000 into the campaign to oppose the amendment. The most recent polls have Question 777 passing, but don’t let that fool you into thinking that HSUS won’t throw donor money at it till the bitter end. The initiative HSUS is most concerned with is Question 3 in Massachusetts. This initiative would ban the sale of eggs, veal or pork produced in what HSUS claims is an inhumane fashion—about 85 to 90 percent of eggs and pork produced today. The Humane Society has paid a king’s ransom in support of this bill, donating over $2 million to pass the measure. But is this veganist push good for the consumers? A recent study conducted by Professor Kaiser at Cornell University, showed that the price of a dozen eggs–after the law in California passed–rose by about 18% “due solely to the new state egg law.” In the end, this measure is nothing more than the Humane Society bullying businesses and consumers to live HSUS’s approved lifestyle. Montana Initiative I-177 deals with prohibiting individuals from using animal traps and snares on state public lands. This initiative seems to miss the mark as it punishes all trappers for the crimes of a “few bad apples” according to the Great Falls Tribune. Another concern with this initiative is that it may encourage more poison being used to control predators, something that HSUS has been strongly against. Colorado Amendment 71 would make it more difficult for initiative petitioners like HSUS to qualify a constitutional amendment for the ballot without allowing citizens from all over the state to have a say in which measures are placed on the ballot. This law would make it more difficult for out of state interests to change the foundational document of the state. HSUS opposes it, but if you believe in protecting local democracy against carpetbaggers, it’s probably a law you’d like. A “yes” on Oregon Measure 100 would prohibit the sale of products and parts of several different rare animals. Anti-poaching measures are something everyone should support in principle, but this measure is more a waste of money (almost a million dollars from HSUS) and time than anything, as most of the animals that would be covered in measure 100 are already covered by various federal and international laws. Given that poaching is occurring between Africa and Asia—and not Africa and Oregon—the measure appears to be a symbolic waste of money as it will hardly do anything in a practical sense to stop poaching. ~ by topcatsroar on November 2, 2016. 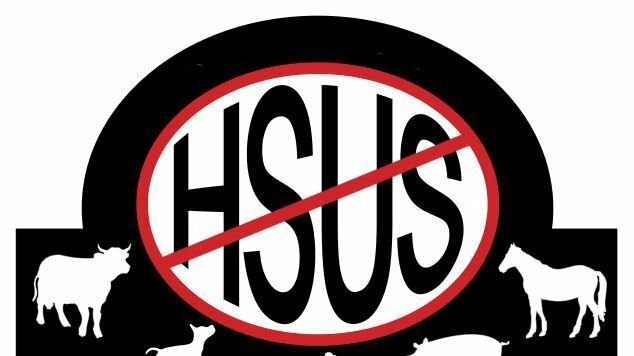 HSUS is nothing more than a very profitable, exploitation business that preys upon the weak, be they human – or non-human. You might think of them as “P.E.T.A.-lite”. Our local “animal shelter” seems to take great delight in removing animals from the care of homeless people. I have known some of these homeless as I, myself, was several times. Some of them feed their animal-companions better than themselves! Yet, “the shelter” wants to charge them impossibly-high “fees” to get their animals back!!! I am soooooo sick of these pretend “animal-rights” folks! My former companion animal friends always shared my living space(s) with me, without exception.